While I wouldn’t consider our boys “picky” eaters, I would vouch 100% for the fact that they get bored with food and want to toddle off and do something else. Especially Parker who is no longer confined to a high chair. It was becoming a real issue so we decided to give Nuby Wacky Ware a try & maby we could make meal time tools as fun to look at as real toys, we could keep them eating more. Nuby’s Wacky Ware looks like something out of a Dr. Seuss book, in the most fabulous way. I had trouble taking my eyes off them as the boys ate lunch, so I can certainly see the appeal. The handles have a slight arch making it easy to keep the food on the fork and spoon even when Jack tried to turn the whole thing over. 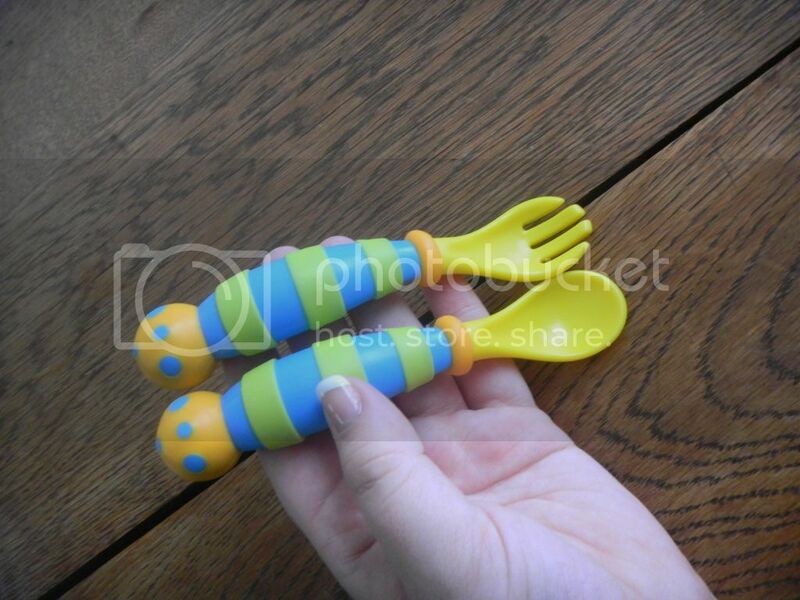 Having held these myself, they also feel like toys rather than utensils, with a fat handle and large ball at the end. 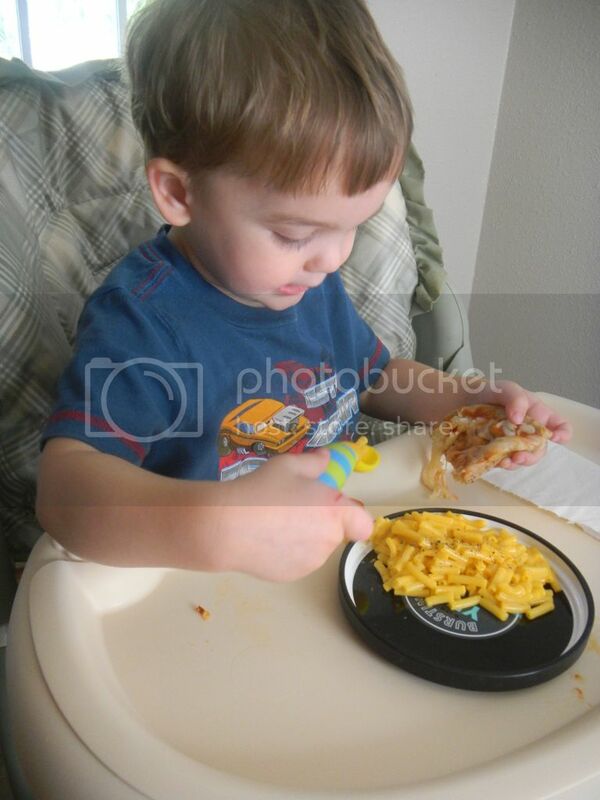 Well, we had mac n’ cheese too! Parker really loved the fork. He insisted on this one over the spoon, he’s just on a fork kick these days. And Little brother even juggled this AND his pizza. 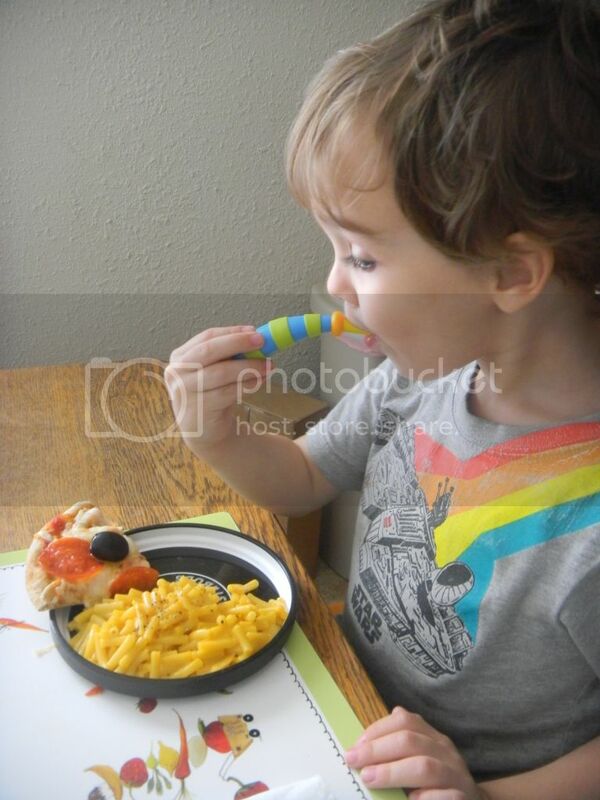 While Mac n’ cheese and pita pizza doesn’t seem like something you’d have to talk your kids into eating, it is for mine. It’s not really a matter of what’s on the menu but having to sit and eat. It takes up too much of their energy packed play time 😉 Neither of my boys put their Wacky Ware down at any point and they finished all their mac n’ cheese and neither finished their pizza. The boys have both requested these several times and I’ve had to fetch them from their play kitchen several times as well. They think they really are toys! I’ve loved having this colorful set around and I’d say if you need to “spice up” meal time to keep a toddler at the table, this is one sure fire way to do it! 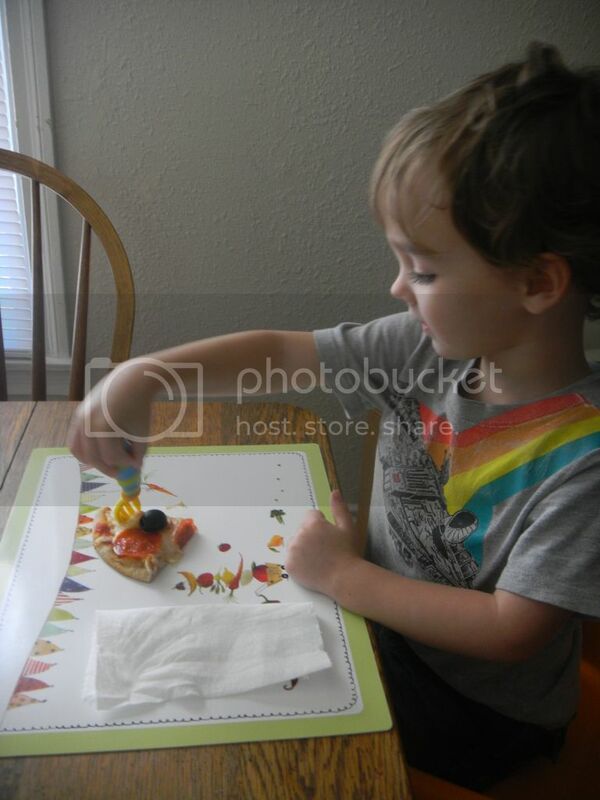 This entry was posted in Kids' Products and tagged at the table, baby, eating, feeding, fork, guide, help, highlight, mommy blogger, nuby, Review, silverward, spoon, table ware, tips, toddlers, utinsils, wacky ware.